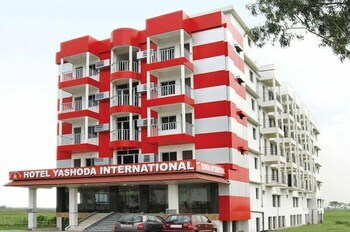 With a stay at Hotel Yashoda International in Tarapith, you'll be within a 15-minute walk of Kobichandrapur Durga Mandir and Tarapith Temple. Featured amenities include dry cleaning/laundry services, a 24-hour front desk, and luggage storage. Free self parking is available onsite. With a stay at Chevron Eco Lodge in Kausani, you'll be in the mountains, and 31.4 mi (50.5 km) from Zero Point.Featured amenities include express check-in, express check-out, and a 24-hour front desk.